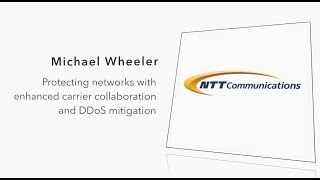 NTT Com's Michael Wheeler talked to Capacity TV about network security and how NTT Com and the Global IP Network are helping customers protect themselves and mitigate DDoS attacks. Mr. Wheeler also discussed the challenges and the security concerns brought by IoT-enabled devices, and provided some insights on BGP communities, network automation and SDN. 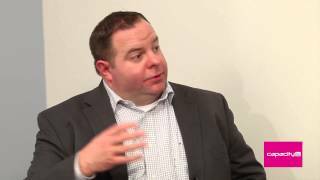 Michael Wheeler from NTT Com discusses the company's approach to network security and the protection services it offers. Mr. Wheeler also address the expansion of the Global IP Network into Manchester (UK), the deployment of 100G ports and the benefits of automation and SDN. 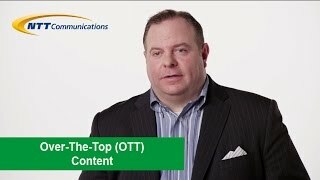 What is OTT and who are some of the most important OTT providers? Michael Wheeler, Executive Vice President of the Global IP Network at NTT Communications, discusses the growing popularity of OTT and the relationships between OTT players and global carriers. Are they partners or adversaries? Mr. Wheeler also talks about how the Global IP Network collaborates with OTT providers to benefit end users. Why is 100G significant for the communications industry and what are the benefits for end-users? 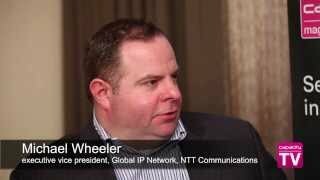 Michael Wheeler, Executive Vice President of the Global IP Network at NTT Communications, talks about the advantages of 100G and what is driving the demand for 100G technology. Mr. Wheeler also discusses 100G deployments in the Global IP Network. 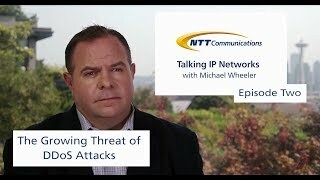 Michael Wheeler, Executive Vice President of the Global IP Network at NTT Communications, addresses the growing threat of DDoS attacks. What is a DDoS attack and why are these attacks such a growing concern? Mr. Wheeler also explains what security services NTT Com provides and why network security is such a priority for the company. 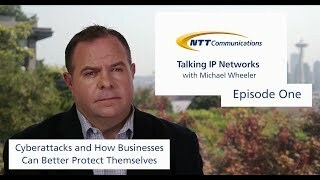 Michael Wheeler, Executive Vice President of the Global IP Network at NTT Communications, addresses cyberattacks and how business can better protect themselves. Why are businesses a growing target for cyberattacks? Do companies have defense strategies and plans in place? 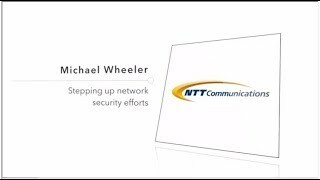 Mr. Wheeler also discusses good first steps in addressing network security and how NTT Com helps protect against cyberattacks. 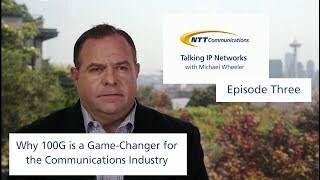 Michael Wheeler, Executive VP of the Global IP Network at NTT Communications, discusses the latest industry hot topics, including network security, the deployment of 100G and the effect on global carriers of content on the edge. 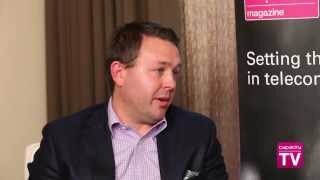 Michael Wheeler discusses the latest industry trends and opportunities during an interview with Capacity TV taped at the Capacity Europe 2016 in Paris. 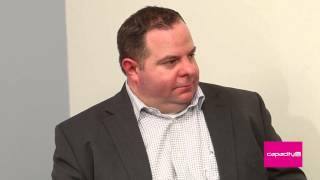 Brent Duncan, VP of sales and marketing at NTT Communications, discusses IP growth and expansion in North American with CapacityTV. 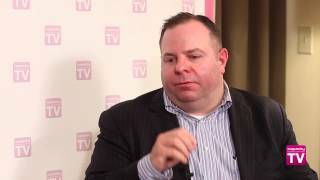 Michael Wheeler, VP of global IP network for NTT Communications, talks to CapacityTV about OTT opportunities, net neutrality and the utilisation of 100G technology. Michael Wheeler, Executive VP of NTT Communications Global IP Network at NTT America, discusses how the company addresses network security and the DDoS protection service it provides to customers. Mr. Wheeler also discusses the relationships between global carriers and OTTs, and the challenges wholesale players will face in the next few years. 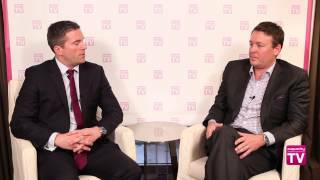 Michael Wheeler, Executive VP of NTT Communications Global IP Network at NTT America, discusses customers’ need for bandwidth and speed as the industry is making the move from 10G to 100G. What impact do Over-The-Top (OTT) players have in the global telecom industry? 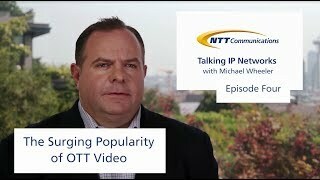 Michael Wheeler, Executive VP of NTT Communications Global IP Network at NTT America, discusses the rise of OTTs and the new symbiotic relationships being forged between content and global carriers. 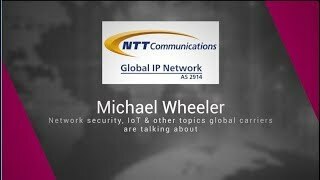 Michael Wheeler, Executive VP of NTT Communications Global IP Network at NTT America, discusses cybersecurity and the role of global wholesale IP providers in helping companies protect their networks and data. 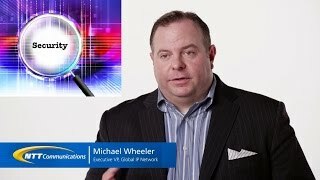 Michael Wheeler, Executive VP of NTT Communications Global IP Network at NTT America, discusses the company’s network infrastructure planning and management for global events, such as the FIFA World Cup and the Olympic Games. 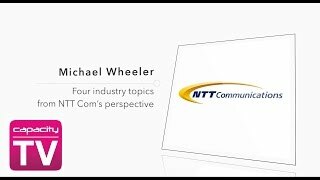 NTT Com's Michael Wheeler discusses how as the number one telecom in the world, NTT Com can offer their customers unique solutions. Companies are currently looking to increase their international presence and NTT Com provides the scope and resources to make these plans possible. By partnering with the number one telecom in the world, customers can utilize NTT Com's global presence to expand theirs. NTT Com's Brent Duncan talks to Capacity Magazine about operator partnership models with cable providers. Michael Wheeler talks to Capacity Magazine on the company's position on IP Transit. NTT Com's Michael Wheeler discusses with Capacity TV about the key global markets leading the way for innovation. NTT Com's Michael Wheeler discusses with Capacity TV about enhancing connectivity across the Americas. NTT Com's Michael Wheeler talks to Capacity Magazine about the company's growth strategy and network intelligence.